Well this was the last time I will be visiting Cueva Cucaracha. This cave has not been friendly to me to me. 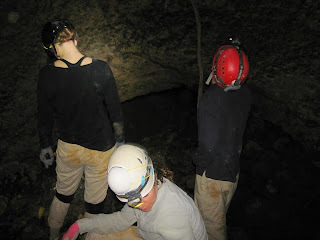 Tim and Sherly were still here and they had a caving friend with them so we went caving of course. 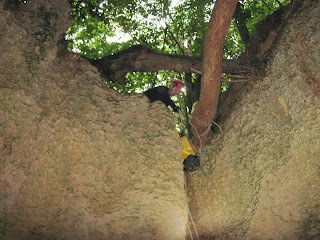 We visited Cueva Nunez near our house in the early afternoon with Katrina and Diana. Katrina and Diana when back to our house and Tim, Sherly, their friend, and I met Tom at the parking for Cucaracha. We got in the cave before the bats started coming out. It was not pleasant but manageable. Certainly not as bad as when we went with Ron and we all almost suffocated (in a bout of mass hysteria). It only takes a few minutes to walk through the hot room. I was last. I brought a butane lighter with me this time. I was reading on Cave Chat that the Naked Flame Test can detect low Oxygen levels and it can be used as a Canary in the Coal Mine. Tom's CO2 meter only goes to 1% and it overloaded immediately upon entering the cave. I was lagging in the back because I was trying to get my lighter to light. I even took off my glove to work the lighter better. I couldn’t get it to light at all. I was very surprised. Surprise soon gave way to concern. I spoke up and we all decided to rest near the river where is was much cooler. I, being the nervous Nelly of the group, discussed what we knew about the situation. To be honest, the conditions didn’t seem that bad once we cooled down (we were also now wet after swimming though the dead bat stagnant stew pool). However, Tom also took out two lighters and matches. We could not get anything to light. We were in a low oxygen environment that had less than 14% oxygen. We also knew we had over 1% CO2. Commonly, but not always there is a correlation between O2 and CO2 levels. Worst case was the CO2 could have been 21%-14%= 7%!!! We know it wasn’t 7% because we weren’t dead. The problem I worried about is that I didn’t know what the O2 and CO2 levels were. 14% O2 and 1% CO2 is no big deal. Less than 12% O2 is a big deal. Greater than 3% CO2 is a big deal. Couple all that with a long period of exposure, 95 degrees and 100% humidity, and high ammonia and you might have a problem. 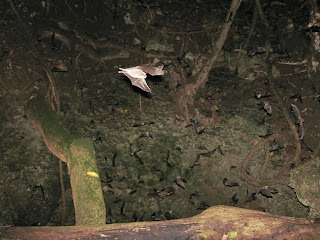 Many people have visited this cave with no known deaths but that doesn’t mean the environment isn’t changing. 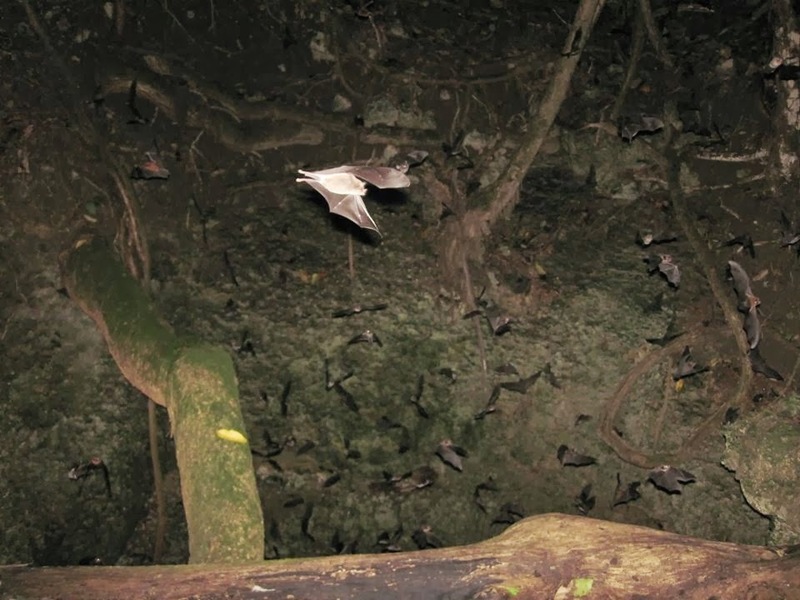 There could be more bats or more organic matter decomposing. I will not go back without some sophisticated gas monitoring equipment. I want to see >13% O2 and < 3% CO2 before I will go back. Cucaracha is a significant cave system that doesn’t get visited much. It’s very unique but not very pretty. A lot of studies should be done there. Hi, This cave is located in Aguadilla? ?